St. Mary’s University alumna Paula Gold-Williams (B.B.A. ’84), president and CEO of CPS Energy, will serve as keynote speaker at the 16th annual Fall Commencement on Saturday, Dec. 10. The University will celebrate the accomplishments of about 270 students receiving bachelor’s, master’s and doctoral degrees. In July, CPS Energy’s Board of Trustees unanimously chose Gold-Williams to lead its more than 3,000 team members into a new age of energy solutions. She has held other leadership positions in San Antonio, including regional controller for Time Warner and vice president of finance for Luby’s Inc. before joining CPS Energy in late 2004. Commencement exercises will begin at 1:30 p.m. at Bill Greehey Arena, inside the Alumni Athletics & Convocation Center on the St. Mary’s campus. Baccalaureate Mass will be held Friday, Dec. 9, at 5:30 p.m., also at Greehey Arena. Media are welcome at both events. The St. Mary’s School of Law will honor Doctor of Jurisprudence, Master of Laws and Master of Jurisprudence candidates at its fifth annual Hooding Ceremony on Friday, Dec. 9, at 1 p.m. at Bill Greehey Arena. Professor Emeritus of Law Aloysius A. Leopold will provide remarks. 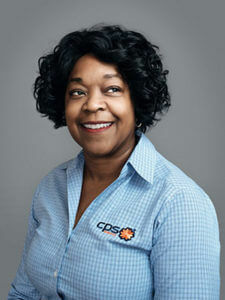 Gold-Williams served as CPS Energy’s controller and assistant treasurer from 2004 through 2006 before being promoted to vice president and chief administrative officer – Organizational Excellence and Shared Services in November 2006. On Feb. 1, 2008, she became CPS Energy’s executive vice president, chief financial officer and treasurer. Externally, Gold-Williams serves as Chair on the Advisory Committee of Executives for the St. Mary’s University Greehey School of Business. She recently joined the board of the University of the Incarnate Word. She is on the board of San Antonio’s public television station, KLRN, including holding a post on its executive committee and serving as its board treasurer. Gold-Williams also serves as an advisory trustee to both Southwest Research Institute and FM Global. In 2015, she was announced as an honoree of the San Antonio Women’s Chamber of Commerce. Gold-Williams was also appointed as an Honorary Joint Base San Antonio Commander in 2014. In recent years, she has received Best CFO and Finance awards from the San Antonio Business Journal and La Prensa, respectively. Gold-Williams has an associate degree in Fine Arts from San Antonio College. She has a B.B.A. in Accounting from St. Mary’s University, as well as a Finance and Accounting M.B.A. from Regis University in Denver. She became a Certified Professional Accountant while working for her first professional employer, the then-Big 8 accounting firm of Ernst & Whinney.